What is Farm & Ranch Insurance? If you own a ranch or farm, your operation faces unique risks and liabilities. A standard business or home insurance policy probably won’t proper coverages for your operation—if any. 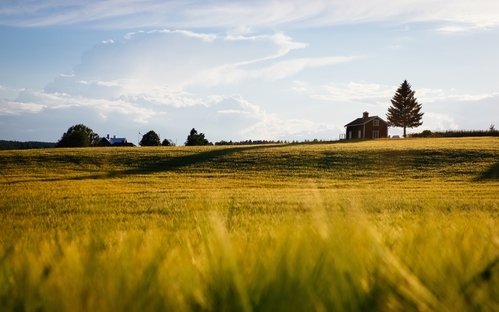 To a certain degree, farm and ranch insurance works similarly to standard home insurance. However, farm and ranch policies can also provide protection for barns, outbuildings, machinery, grain, hay, arenas and various other farm/ranch buildings. Choice Insurance Services has the knowledge and experience to help you create a customized farm and ranch policy. We’ll make sure your policy fits your operation’s need for individual coverages. Whether you own your property and work the land, or rent to another party, we’ll help you find the right insurance mixes to attain proper protection. Is the land you work leased? No worries. We’ll help you find suitable coverage regardless of your situation. What are Your Farm & Ranch Coverage Needs? Do you grow crops? Raise livestock or cattle? Are you a dairy farmer? Is your farm or ranch a commercial operation? Do you run a horse farm? What Does a Typical Farm & Ranch Policy Cover? Standard farm and ranch insurance also includes a liability provision. This coverage provides protection if someone with permission to be on your property suffers bodily injury or property damage due to an accident. You can also add umbrella coverage to extend your protection in case you end up in court over a liability claim. What coverages do you need for your farm or ranch operation? Not sure? Interested in exploring your options? If you’ve got questions about farm and ranch coverage, we’ve got the answers you need to make informed policy decisions! If you’re ready to see how much you could save on farm and ranch insurance in Georgia, call Choice Insurance Agency today at 478-333-3375! For a free online farm and ranch insurance quote, fill out the quote form on this page!